38 Years Old, enlisted on 28 Aug 1862 at Stark, NY as a Private. On 28 Aug 1862 he mustered into unassigned NY 18th Infantry transferred to 121st of 10 May 1863. On 10 May 1863 Henry entered "H" Co. NY 121st Infantry. He was mustered out on 25 Jun 1865 at Near Hall's Hill, VA.
[S00120] 1850 United States Federal Census, Images reproduced by FamilySearch, (Ancestry.com Operations, Inc., 2009), [database online]., New York, Herkimer, Stark (Page 8 of 40). [S00121] 1860 United States Federal Census, Images reproduced by FamilySearch, (Ancestry.com Operations, Inc., 2009), [database online]., New York, Herkimer, Stark (Page 29 of 39). [S00110] 1870 United States Federal Census, Images reproduced by FamilySearch, (Ancestry.com Operations, Inc., 2009), [database online]., New York, Herkimer, Stark (Page 15 of 39). 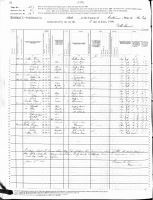 [S00131] 1880 United States Federal Census, Ancestry.com and The Church of Jesus Christ of Latter-day Saints, (Ancestry.com Operations Inc, 2010), [database online]., New York, Herkimer, Stark (Page 30 of 30). 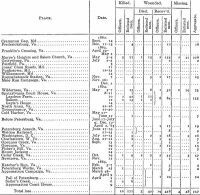 [S00015] ANCESTRY.COM - U.S., Civil War Soldier Records and Profiles, 1861-1865, Historical Data Systems, (The Generations Network, Inc., 2010. ), MATHISE, Henry. [S00021] ANCESTRY.COM - Civil War Pension Index: General Index to Pension Files, 1861-1934, National Archives and Records Administration, (Provo, UT, USA: The Generations Network, Inc., 2000;), [database online]. [S00050] U.S. Civil War Soldier Records and Profiles, Ancestry.com, (Provo, UT, USA: Ancestry.com Operations Inc, 2009), database online. [S00110] 1870 United States Federal Census, Images reproduced by FamilySearch, (Ancestry.com Operations, Inc., 2009), [database online]., New York, Herkimer, Stark (Page 15 of 39) . [S00027] FORT PLAIN, Records of the Dutch Reformed Church of, (Montgomery County Department of History and Archive), Page 174. [S39] City Directory/Gazetteer, Michael Schuler, (Copies of Directories heard my personal Collection), [personal collection]., 1869 Herkimer County Gazetteer by Hamilton Child, Syracuse, NY. [S00024] Declaration for Widows 7 Jun 1892, Henry Mathise Widow, War Department, Record and Pension Division, (National Archive, Washington, DC), 482052. Original Document.